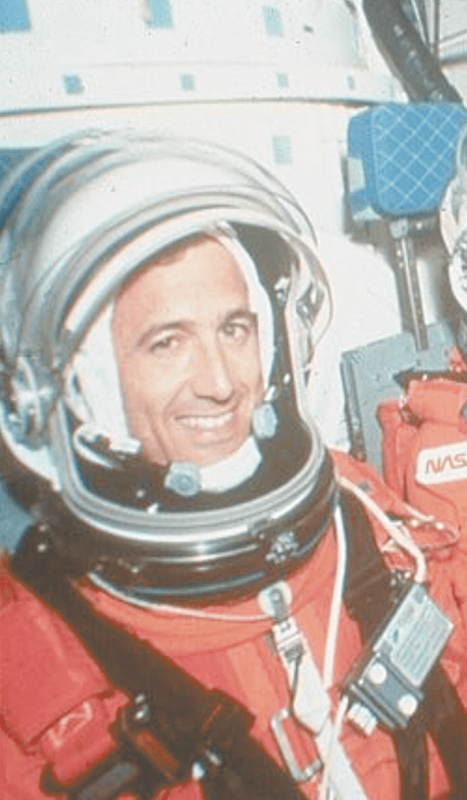 When Syracuse-born Lawrence DeLucas came to UAB to study chemistry, he probably didn’t imagine that his passion for science eventually would lead him all the way to space. But when he passed his first two organic chemistry tests with flying colors, his teacher offered him a job, and DeLucas started imagining what it would be like to be a scientist. DeLucas, who will be speaking at the Homewood Public Library later this month, eventually got bachelor’s and master’s degrees in chemistry and a Ph.D. in biochemistry. He also picked up degrees in optometry and optics along the way. His expertise was in crystallography, and while at a science conference, he learned that crystals grow bigger and better in space. Three months and $3,500 later, he had designed a machine that could go on a spacecraft to help his research. This was in 1985, just one year before the Challenger explosion that killed seven crew members. DeLucas was in a VIP room during the first launch of his hardware, and he was able to see the launch of the spacecraft in the distance. He said he was overcome with emotions. He turned to his friends in that moment and said, “I’m going to do this.” He said his friends laughed at him, but it became a quest to DeLucas to go into space. DeLucas doesn’t fit into most stereotypes about astronauts. He can barely drive a car, let alone a plane, he said with a laugh. “I’m the only astronaut in the history of NASA that’s afraid of high heights,” he added. But he was determined, and seven years later, he was selected to fly aboard the NASA space shuttle mission STS-50, spending 15 days in outer space. DeLucas loved the food on board. He didn’t get motion sickness during the mission, so when his fellow crew members were too sick to eat, he ate their leftovers. His first meal in space was a peanut butter and jelly sandwich – made on tortillas so crumbs wouldn’t float around the shuttle. Drinking water was a unique experience for him. He had to drink liquids in a bag with a straw. As he drank, he had to chase the liquid around the bag with his straw. Without gravity, water droplets clung to the sides of the bag. But one of the biggest challenges was getting used to gravity once he returned home. He remembered doing odd things at home for a while after the mission, such as dropping his toothbrush onto the floor in the middle of brushing his teeth. When asked if he planned on going back to space, DeLucas said no. Now, he works full time for the Aerospace Corporation and lives in Vestavia Hills, and he gives talks about his journey through space. He said he likes to put space photos in between slides about science to keep people interested while educating them. DeLucas will give one of his talks Jan. 28 at the Homewood Public Library in the large auditorium. The event is free and begins at 6:30 p.m. For more information, visit homewoodpubliclibrary.org.